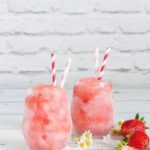 Looking for the easiest fruity frozen Strawberry Daiquiri recipe? You have found it!! 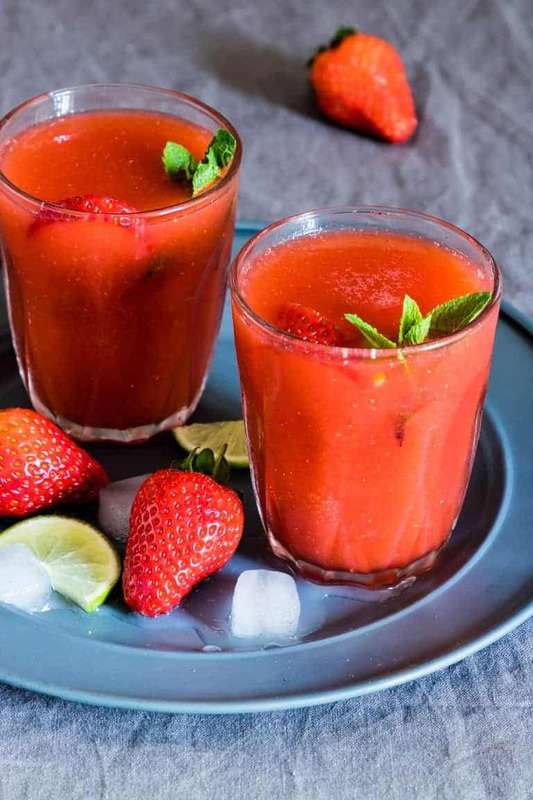 It only takes 6 ingredients to whip up a refreshing Strawberry Daiquiri perfect for summers, BBQs, drinks parties and is certainly a crowd-pleasing cocktail. Do check out the easy step-by-step images on how to make this classic Cuban Cocktail. Suitable for Gluten-Free and Vegan diets. 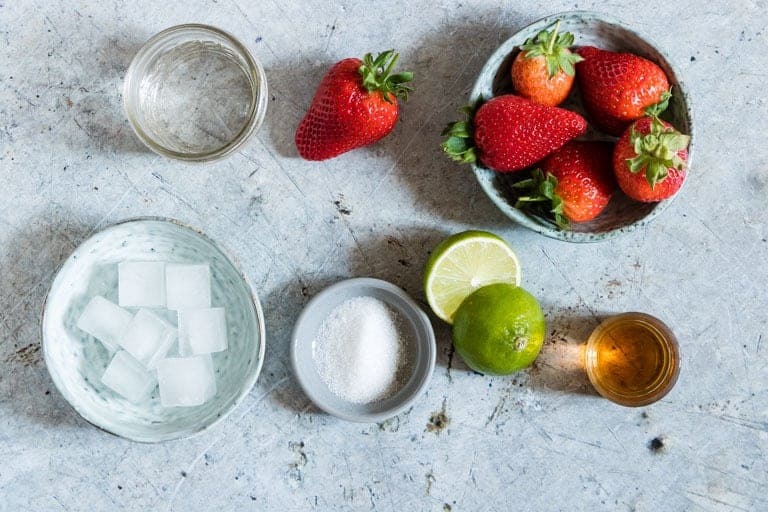 This is the simplest and easiest ever Strawberry Daiquiri Cocktail, where a few simple ingredients are whipped up into a refreshing fruity cocktail that is perfect for the summer, BBQs and garden parties, pool parties and girls nights in. 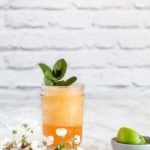 Also, this drink can be whipped up into a super colourful, child-friendly drink instead without any alcohol – for play dates, summer picnics and more. I give you tips on how to do this below. So, big bonus points right? What Is In A Strawberry Daiquiri? Daiquiris originated in Cuba and these delicious Cuban cocktails mean you get the fabulous Cuban flavours of rum, lime and sugar and of course ice for the chill in this drink. To this, you can add tropical fruits as you like. 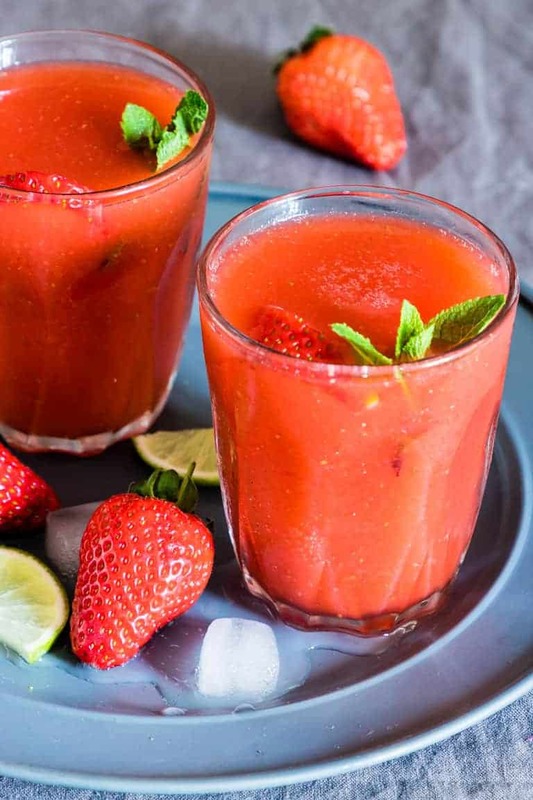 This version uses strawberries to make a Frozen Strawberry Daiquiri. Also this version uses a coconut-flavoured rum to add a little extra exotic flavour. A quick list of items you will need to make this Easy Daiquiri. A high powered blender is your friend in this recipe. This lovely pitcher is perfect just serving for Daiquiri in. Serve your Daiquiri in my favourite Mason Jars or these more colourful ones. Step 1. 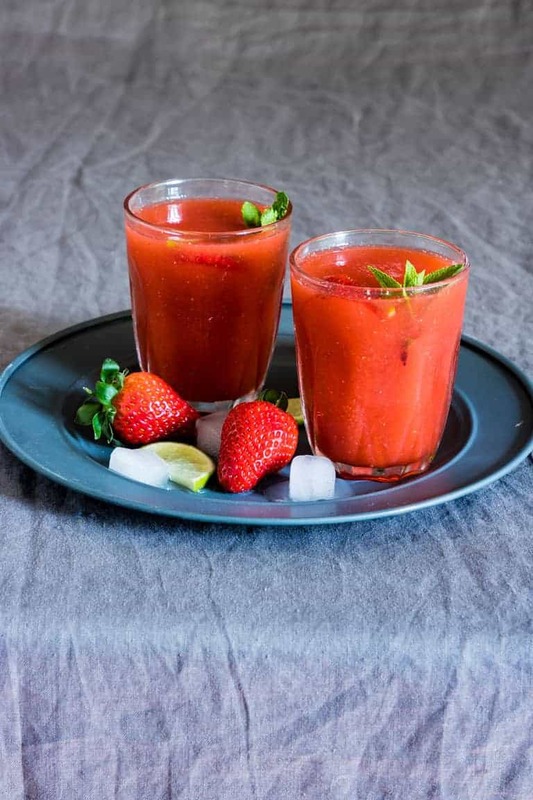 Add the strawberries, rum, triple sec, sugar, lime juice and ice into a high-powered blender. Step 3. Pour into 2 glasses, garnish and serve. You can make your sugar syrup ahead of time and keep it in the fridge for 2-3 weeks with no problems. Do use a high-powered blender to crush the ice perfectly. How can I make a Strawberry Daiquiri with vodka?! Great question. Vodka has less flavour than rum so some people prefer their daiquiri with vodka instead. All you would need to do is swap out the rum for some vodka instead. What a fun idea right? Making a Strawberry Daiquiri with ice cream is really easy. Simply add a little scoop of your favourite coconut, vanilla or strawberry ice cream into your cocktail and you are good to go. 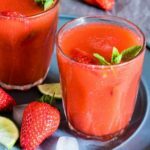 As you can imagine, to make a Strawberry Daiquiri Mocktail you would only have to skip the alcohol. You can simply blend the ingredients without the alcohol or you can add some lemonade or coconut water in instead. Experiment away. Step 1. Add equal quantities of sugar and water together in a pot. Step 2. Place over a medium flame and stir occasionally until the sugar has dissolved. Step 3. Let the syrup cool before decanting it into a container. Step 4. Keep the syrup in the fridge until needed. 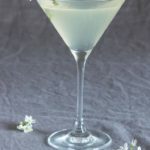 Daiquiri lovers why not check out the selection of Daiquiri recipes below and let me know what you think. And this Gin Apple Pie Cocktail just because. Sooo many daiquiri choices and so little time. 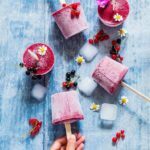 I think trying a new frozen daiquiri recipe every week sounds like a fun summer project, don’t you agree? Happy daiquiri drinking, peeps. Thank you for reading my frozen daiquiri post. And please come visit again as I continue dreaming up recipes, traditional African recipes, African fusion recipes, Sierra Leone recipes, travel plans and much more for you. Don't forget to tag #recipesfromapantry on Instagram or Twitter if you try Strawberry Daiquiri! It is really, really awesome for me when you make one of my recipes and I'd love to see it. You can also share it on my Facebook page. Please pin this recipe to Pinterest too! Thank you for reading Recipes from a Pantry. This summery frozen daiquiri recipe is sweet and tropical. 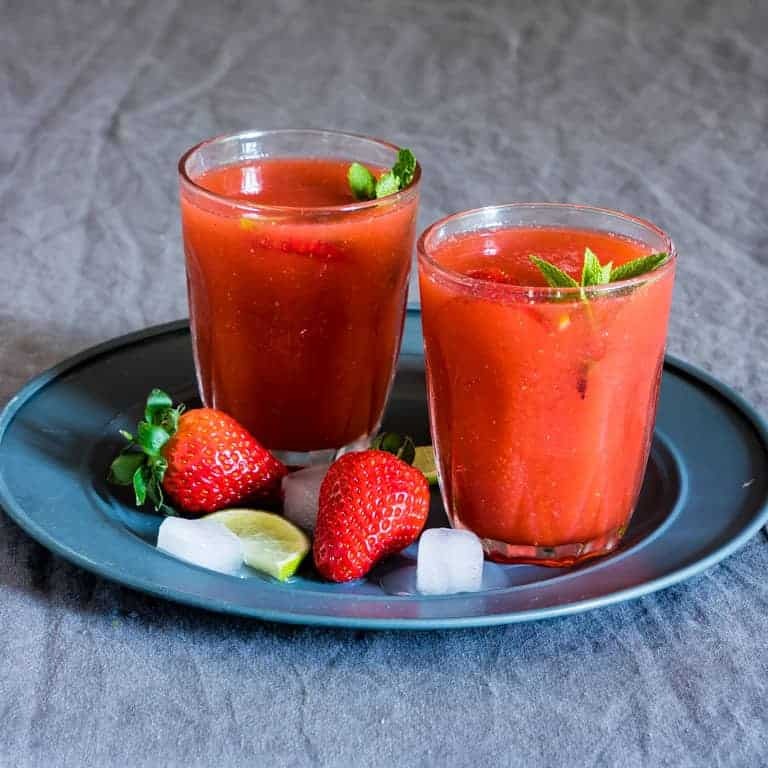 Add the strawberries, ice, rum, triple sec, sugar and lime juice into a high-powered blender. 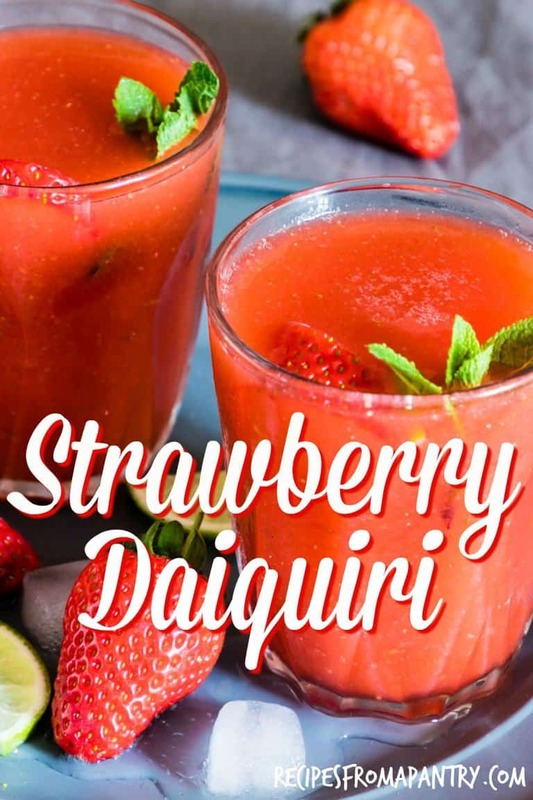 Pour the Strawberry Daiquiri into 2 glasses, garnish and serve. You can use frozen strawberries for a more frozen strawberry daiquiri. 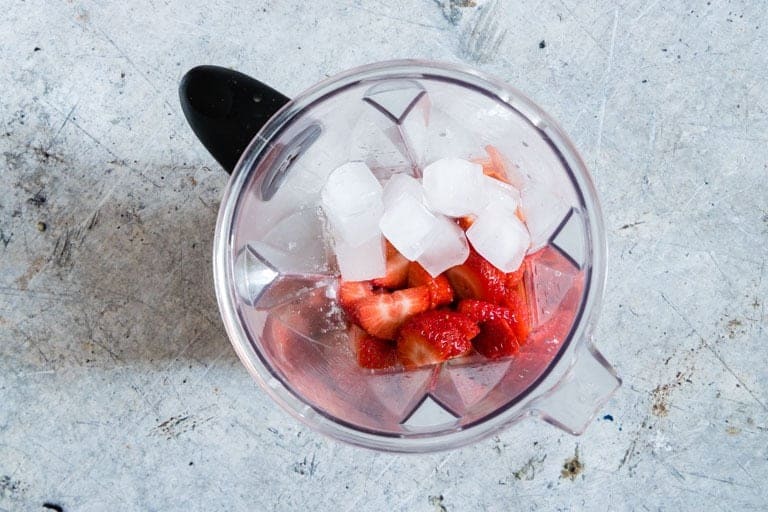 Do use a high-powered blender to crush the ice perfectly. I have never tried making this and it’s a favorite drink for us. My husband actually just ordered this on vacation and we took a step back on the expense it was unreal for one drink. I cant wait to surprise him making it myself! looks great! This is my husband’s favorite drink, believe or not! And when we are out at a bar, I order a beer and he will order one of these, and when the server brings it back, somehow they always end up trying to give me the daiquiri lol. so once I tried to make it for him but he didn’t like it! I will try your recipe!! Maybe surprise him tonight with this! WOW this daiquiri looks so refreshing and delicious! perfect for Springtime hosting and even for weekend brunch! YUM! That is the plan – the star for weekend brunches. Such an easy recipe, I need to make it this summer! The flavor combination is one of my favorite. Thanks for sharing! What a pretty color. This looks so refreshing, perfect for the season.